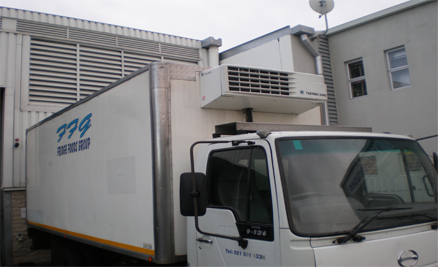 FFG - FRIDGE FOODS GROUP The company has three distribution centers: East London, Port Elizabeth and Cape Town. FFG distributes one of the widest and most diverse ranges of foodstuffs in the industry. The company caters for both food service and retail customers. Products range from frozen to chilled to grocery items. Over the years FFG has built trading relations with most of the biggest food manufacturers and importers in the region. These trading relationships allow us to provide our customer base with the best possible products, pricing and service. The company also has four retail outlets in the Eastern Cape, located in East London and Port Elizabeth, servicing the public and small caterers. These outlets have become synonymous with value for money purchases over a wide range of foodstuffs. The company has also successfully dealt with many of the largest food service and retail organisations. Our commitment to customer service has allowed us to retain existing business plus further expand our customer base year-on-year. Our service standards do not only extend to these large customers, with our experienced sales, warehouse and admin teams operating to deliver the best possible service reliably to all of our customers. The company has made major infrastructure and IT investments over the last few years to ensure that we can continue to deliver this service for many years to come. The company is well positioned with established trading relationships, quality personnel and a sound infrastructure, to further strengthen its market share in food distribution and retail within Southern Africa.